WASHINGTON: President Donald Trump’s South Asia strategy has shown few signs of progress this quarter, a US government watchdog report said on Monday, despite public assertions by the US military that Taliban militants were on the back foot. An inspector general report said that there had been few signs of significant progress by Afghan security forces and the Taliban continued to carry out deadly attacks. “Available metrics showed few signs of progress, and during the quarter, the Taliban and the Islamic State in Iraq and Syria – Khorasan each launched high-profile attacks in Kabul that killed hundreds,” a statement accompanying the report said. In August, Trump committed the United States to an open-ended conflict in Afghanistan, dispatching an additional 3,000 troops to the nearly 17-year-old war that has killed tens of thousands of Afghan civilians. Nicholson was the latest US military official to try and put a positive image on the war, despite few signs of an end to the conflict. “This quarter the Taliban continued to hold territory and launched devastating terrorist attacks in Kabul and across the country,” the watchdog report said. 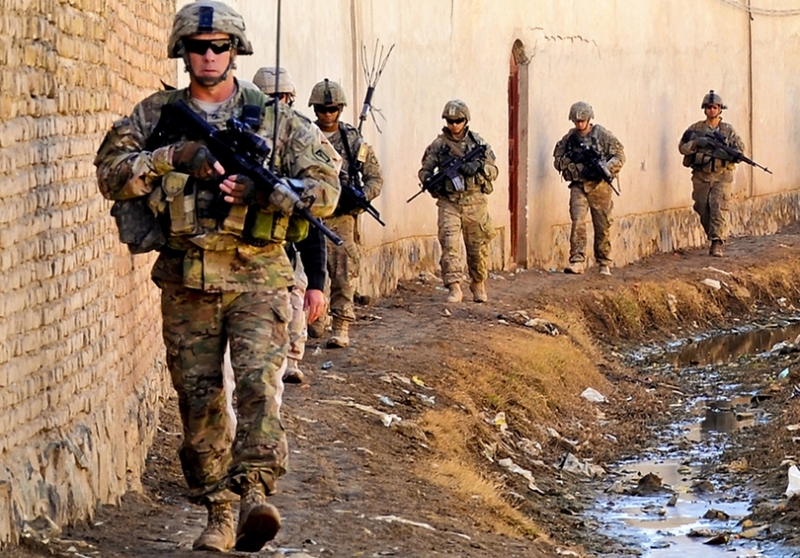 The report covered the war in Afghanistan from January to the end of March and was compiled by the inspector generals from the Pentagon, State Department and US Agency for International Development. A Pentagon spokesman said the military felt that progress was being made. “Chaos and progress can coexist and that is exactly what we feel is happening in Afghanistan,” Pentagon spokesman Colonel Robert Manning said. In a sign of the precarious security situation, Taliban fighters closed in on another district in Afghanistan over the weekend, a development at odds with the positive image US military officials have conveyed. “Given the different audiences that US military officials have in mind when they make these (public) announcements, there is simply a very strong incentive to accentuate and even embellish the positives, (and) to minimise the negatives,” said Michael Kugelman, with the Wilson Center think tank in Washington. “It is a war that many Americans don’t support and don’t understand and yet it is war that is probably going to continue for the foreseeable future … it is just like Vietnam,” Kugelman said.